Kinesiology, also known as biomechanics, is the study of body movement. 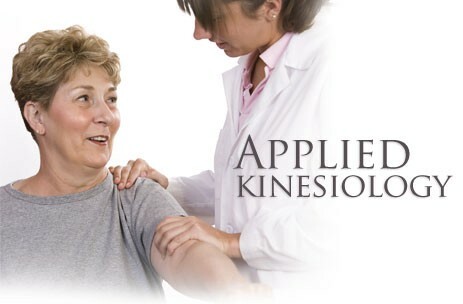 Applied kinesiology (AK) tests muscle strength to diagnosis and treat patients imbalances of the spine, muscles and nervous system. What patients can expect A visit to our office includes a detailed history and consultation followed by an X-Ray exam (if necessary) to determine the location of your imbalance, nerve pressure or spinal misalignment. We will also assess a patient’s posture, gait and range of motion. Muscle strength is then tested against pressure exerted by the Doctor. If the muscle stands up to pressure, it’s deemed "strong" or "locked" and those that give way to pressure are considered "weak" or "unlocked".